Other than celery, I haven't met a green vegetable I didn't like (everyone has at least one [real] food item they wish they liked but don't). Today's post features leeks. It was new to me when it showed up in my CSA box. I got onto YouTube and found a great video on how to clean them because I had learned previously that they are very gritty with lots of sand and dirt - so, simply placing them under running water won't cut it - pun intended. Leeks have a mild flavor - like a mix between garlic and onion. They smell like an onion but when cooked - YUM-O!! Prepping the leeks was the best part of the recipe. I don't know if you feel the same but sometimes prepping vegetables can be somewhat therapeutic. See another recipe on whole food therapy - fava beans! 1. 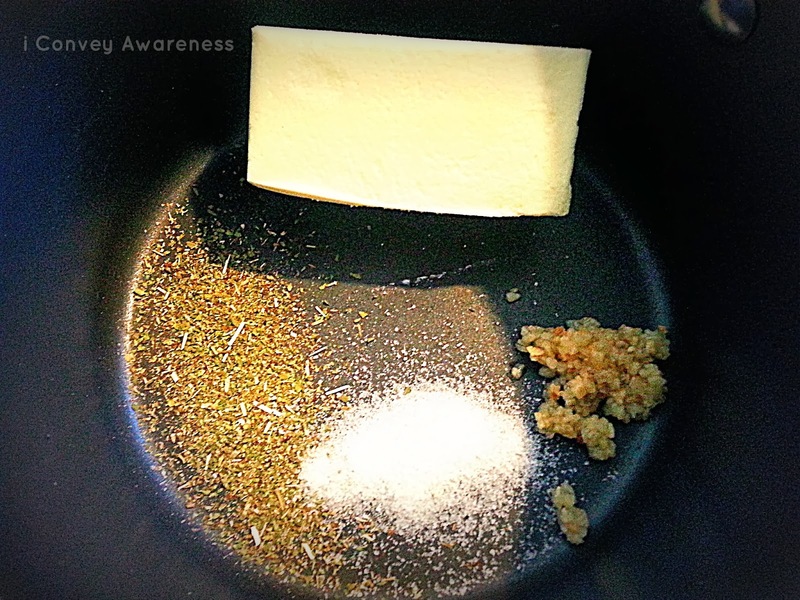 Melt butter with garlic, oregano, and salt until just melted. 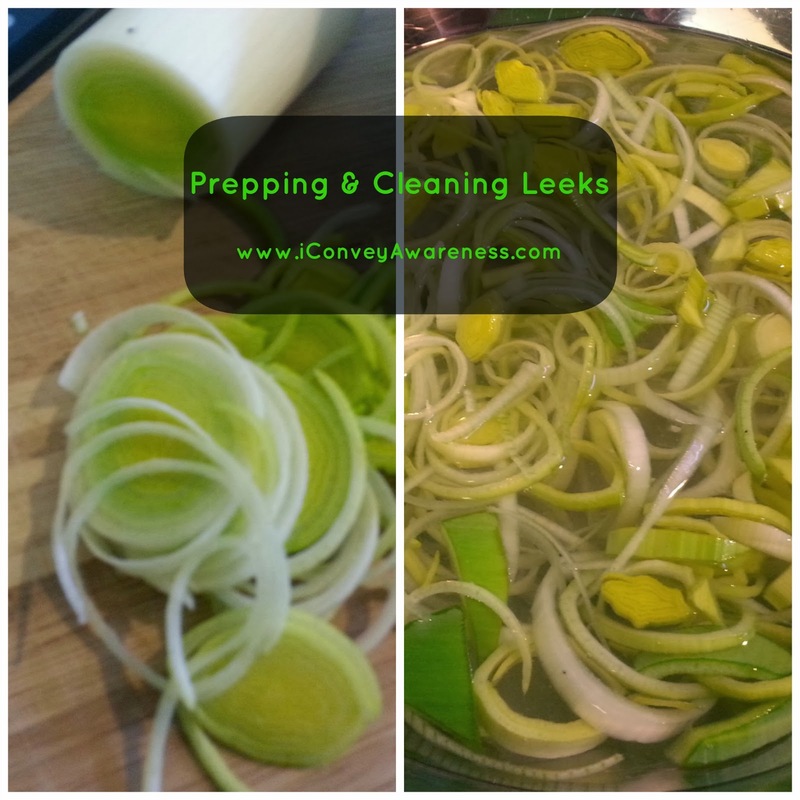 While melting, clean and slice leeks. Remove butter from heat. 1. Remove dark green tops of leek(s) (place aside) and cut the light green-white part into thin slices. (The dark green stalky tops of the leeks can be rinsed and tossed into your freezer bag of scraps for your future vegetable stock.) Toss the thin slices into a bowl of water with lemon juice and give it a good swirl. After slicing, proceed to rinsing them in a colander under cold water for an extra few moments. 2. Use a few tablespoons of the garlic-butter seasoning in a skillet on medium heat. Toss the sliced leeks in the butter and cook lightly on medium-low heat for about 20 minutes. You don't want to brown them, just soften them. Turn off heat. 3. While leeks are cooling (this helps the nutrients meld and marry (see WHFoods), prep the other raw vegetables that you'll bake with your chicken. 4. 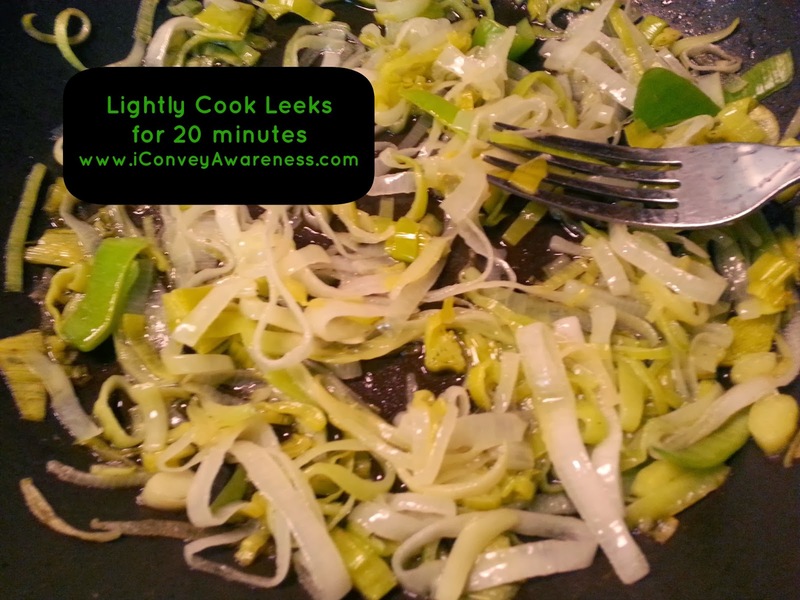 In a olive oil lined pan, place the sauteed leeks at the bottom. (I wish I had more than just one leek - the pan looked a bit sparse!) 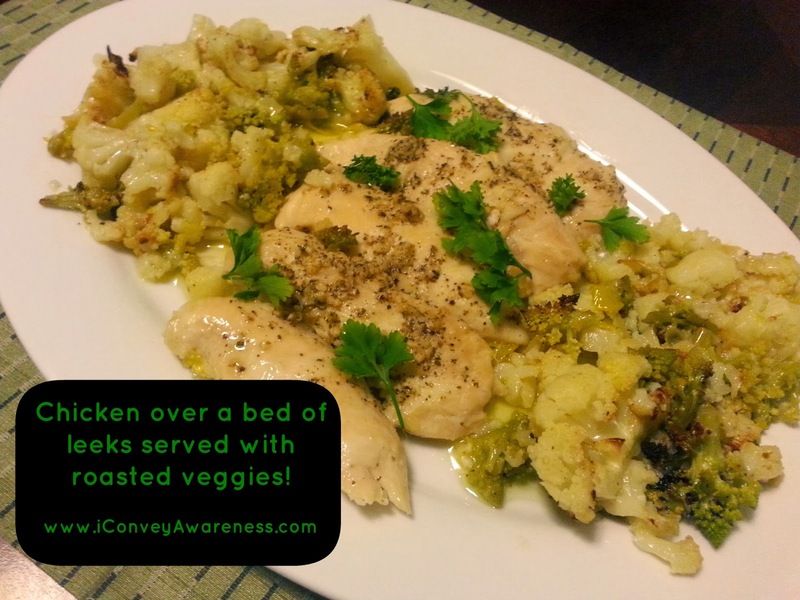 Top the leeks with the chicken breasts. 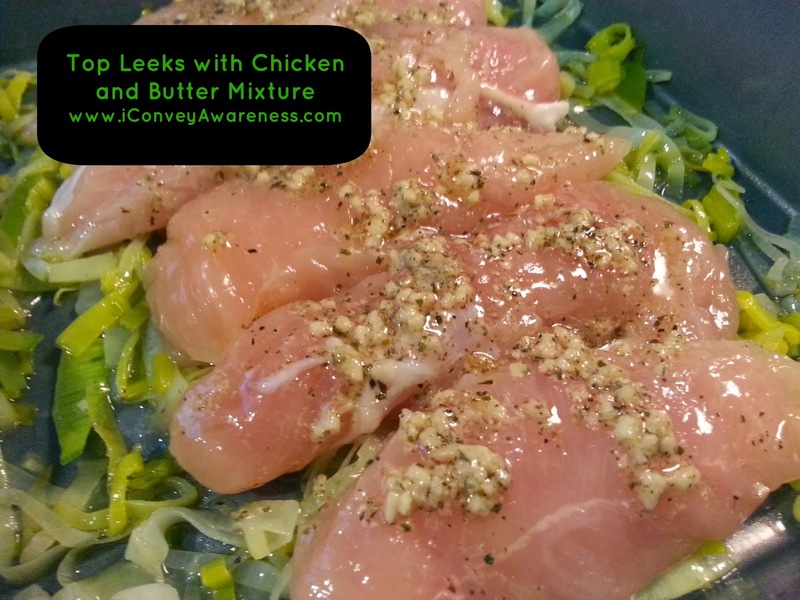 Pour the cooled garlic-butter seasoning over the chicken breasts. 5. 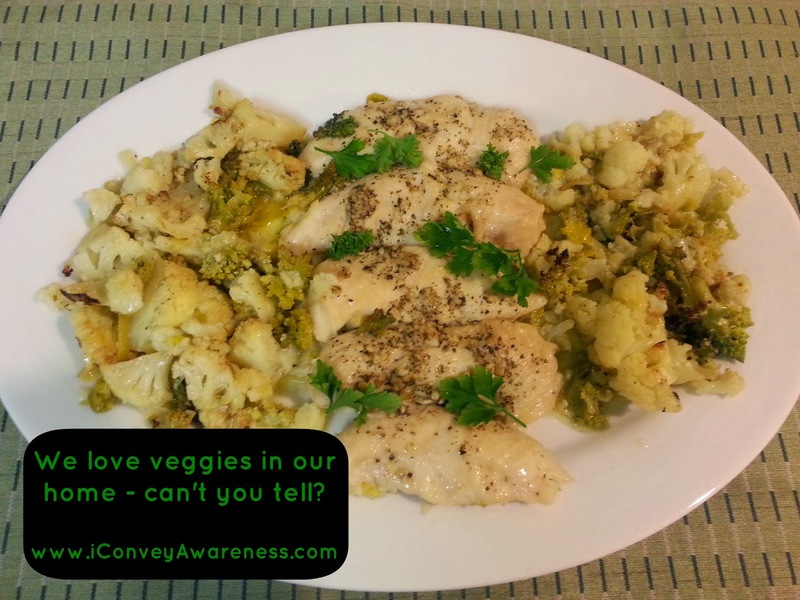 Place other veggies along the sides of the chicken. Bake uncovered for 30 minutes in the pre-heated 375* oven. 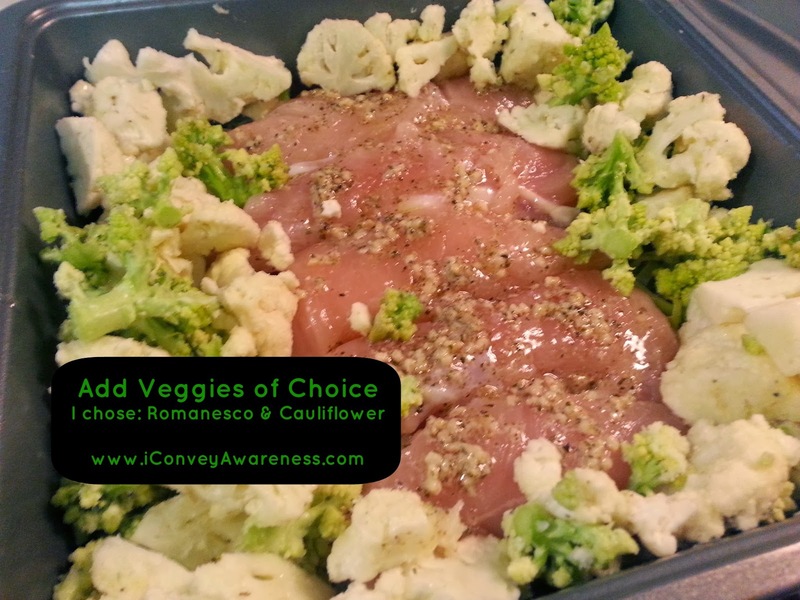 Cook until chicken is done or when juices run clear. Let cool for 5 minutes. Optional: Top with fresh parsley. Serve alone or with rice. We prefer jasmine rice from Thailand. Yum! This looks delicious. I'm always looking for new real food meals, I'll have to try this for dinner next week.